The former Beatle has teamed up with Diana Krall and has rekindled musical partnerships with Eric Clapton and Stevie Wonder for some tracks. All but two songs on the as-yet-unnamed album - to be released in February - are cover versions. 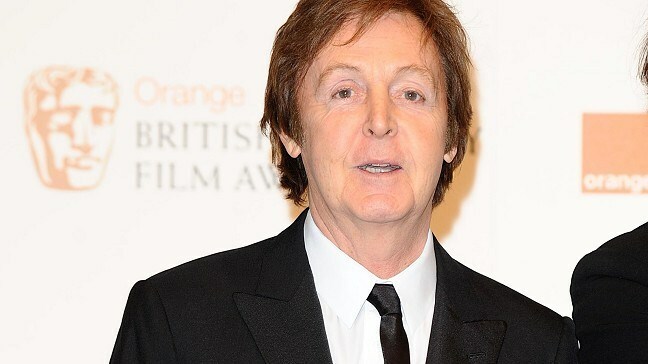 Sir Paul, 69, said it contains songs which inspired his early compositions with John Lennon, and was something he has longed to do. "In the end it was 'look, if I don't do it now, I'll never do it'," he said. He added that it was "about time the songs me and John based quite a few of our things on" were given recognition. The musician previously released a covers album in 1999 with his Run Devil Run collection of vintage rock'n'roll songs. Speaking about the new collection, he said: "When I kind of got into songwriting, I realised how well structured these songs were and I think I took a lot of my lessons from them. "I always thought artists like Fred Astaire were very cool. Writers like Harold Arlen, Cole Porter, all of those guys - I just thought the songs were magical. And then, as I got to be a songwriter I thought it's beautiful, the way they made those songs." The tracklisting for the album - out on February 6 - has yet to be released. The new album features Krall and her band, while Clapton - who played on the Beatles' While My Guitar Gently Weeps - contributes to new song My Valentine, and Stevie Wonder performs on the other original track Only Our Hearts.